Hot off the announcement that Marvel's Iron Fist was dead, never to receive a third season, Netflix lifted its metaphorical ax and swung down on Marvel's Luke Cage, cancelling the series after just two seasons. "Unfortunately, Marvel's Luke Cage will not return for a third season," the streamer and Marvel Television confirmed in a joint statement on Friday, October 19 (via Deadline). "Everyone at Marvel Television and Netflix is grateful to the dedicated showrunner, writers, cast and crew who brought Harlem's Hero to life for the past two seasons, and to all the fans who have supported the series." Netflix's decision to pull the plug on Luke Cage comes as a major shock, particularly because showrunner Cheo Hodari Coker had already assembled a writers' room for the projected third season. Those creatives had apparently been crafting stories, reviewing notes and feedback from Marvel Television and Netflix brass, and polishing up scripts for roughly six months prior to the series' cancellation. It's been said that the writers' room turned in to Marvel and Netflix "detailed drafts" for five episodes of a potential new season during the week of Monday, October 15. Additionally, lead actor Mike Colter, who plays Harlem's hero Luke Cage, was reportedly still under a contract with the superhero series and was expected to reprise his role in season 3 at the time of the show's cancellation. Everyone involved with Luke Cage and even those with just periphery knowledge of the series believed that a third season was an inevitability. According to Deadline, Netflix moved to kill Luke Cage following tension that began rising at the start of October. The outlet notes that things went "distinctly south" around Wednesday, October 17 — just 48 hours before the streamer canceled the show. 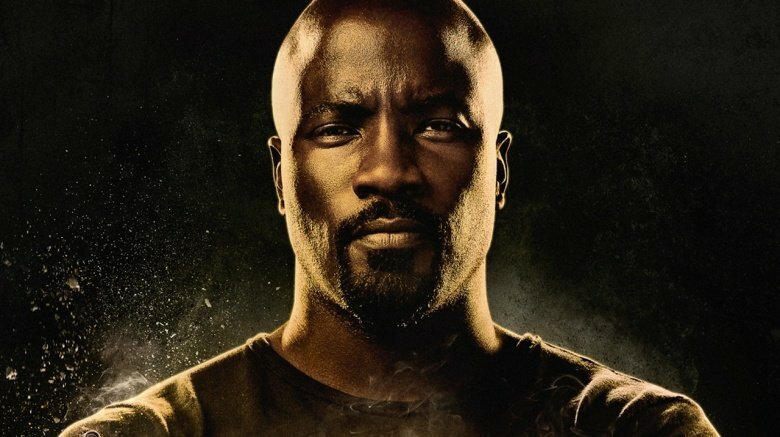 Unnamed sources have relayed that "creative differences" over the developed scripts and the "inability" for Marvel and Netflix to resolve their apparently intense disagreements and arrive at a solution that would benefit both parties moving forward created the perfect storm for the Luke Cage cancellation. Given how baffling this news was to fans, they aren't sitting sweetly and just accepting Netflix's decision. Luke Cage loyals have taken to social media in droves to express their disappointment, outrage, and heartache over the series' cancellation. One even took a page out of Iron Fist fans' book and created a petition asking Netflix to reverse its decision to ax the show and renew it for a third season. "Luke Cage is the finest Marvel show in existence. It exemplifies herorics, sassy banter, great music, and family fun," fan Luke Hunter's Change.org petition reads. "The cancellation of this beloved show is utterly flabbergasting. We must fight to save our hero of Harlem as he fights for us." Despite their anguish and anger, tons of Luke Cage fans are still holding out hope that they'll get to see the musclebound vigilante on the screen once more, teaming up with Finn Jones' Danny Rand on a potential Heroes for Hire series or movie. Many also have their fingers crossed that Simone Missick's badass police detective Misty Knight from Luke Cage and Jessica Henwick's Colleen Wing and Alice Eve's Mary Walker from Iron Fist will link up for a possible Daughters of the Dragon show. There's no telling what Marvel and Netflix decide to do, but it's lovely to see so many fans keeping a positive outlook. With both Iron Fist and Luke Cage out for the count, the only two remaining Marvel-Netflix series are Jessica Jones and Daredevil, which had its season 3 premiere the same day Netflix canceled Luke Cage. Gotta love that irony, huh?